Sarita has had a problem with facial hair since puberty. She started cutting off thin strands of hair on her chin with scissors when it started. But as the hair grew back thicker and more in number, she started plucking it out with a pair of tweezers. She has been tweezing for almost a decade now but the problem seems to get worse every year. Sarita has to "clean" out her chin area with tweezers every alternate day. She is looking for a more permanent solution. Someone has advised her to get laser treatment for hair removal, but will it work? This is a painless and relatively permanent hair removal technology that targets skin areas that contain Melanin. 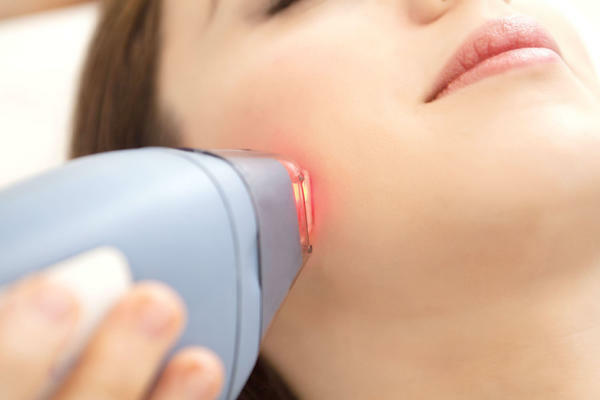 The laser instrument sends specific wavelengths of light into the skin. The hair shaft abosrbs the heat and light which travel down to the follicle and kill the hair from its root. With repeated sessions, the follicle becomes too weak to produce any hair. The laser treatment does not produce permanent results in one go. It involves a series of sessions, and the number of sessions required may vary from person to person. The treatment does not give you permanent hair removal, it only gives you permanent hair reduction. After 8-10 sessions, you may only require maintenance sessions of 3-4 times a year. A typical treatment requires you to get a series of sessions at the interval of 30-40 days. If you have an underlying hormonal issue or a health issue like the PCOS, you may probably not get as good results. But it is still a better treatment option that others. If you are very fair or have hair which is blonde in colour, or have bleached your skin, the results will not be impressive. Melanin is important for the success of laser hair removal. The treatment is rather expensive. The cost depends on the area to be covered. One session of removing hair from the chin area may cost you between Rs. 1500-3000. It is very important to chose the right place to get your laser hair removal done. As far as possible, try to choose a Registered Dermatologist to do the treatment. Spas and beauty parlours do not have staff that is qualified to do such procedures, nor can they identify your skin issues or give you proper medical advice. Hair Spa That Doesn't Cost A Bomb!